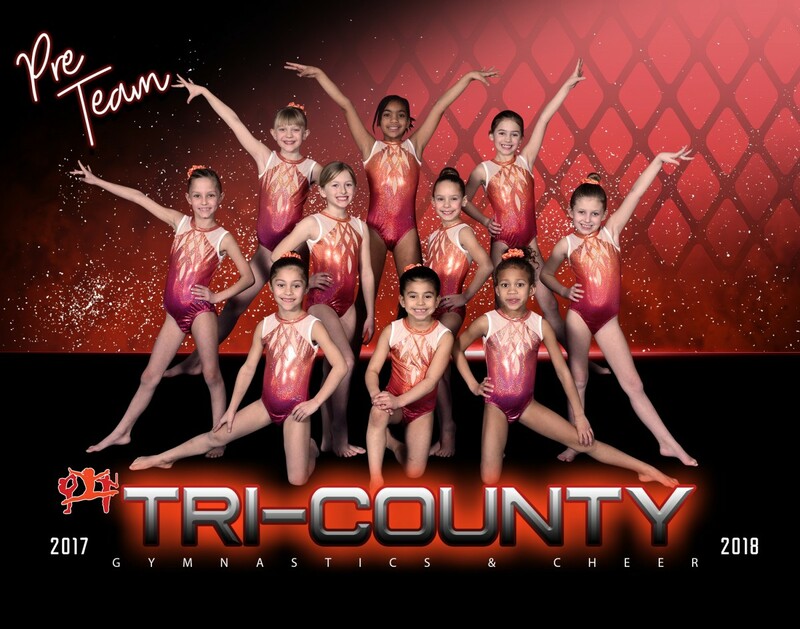 Tri-County's Pre-Team Gymnastics Program is an invite only program. These athletes are hand selected from our recreational program and possess an outstanding amount of strengths: talent, drive, focus, flexibility, exceptional listening skills, fast learning skills and the ability to see and fix corrections. This program was developed to give extra attention to these athletes because they have shown great potential to be an asset to our competitive team in the near future. Each Pre-Team Athlete is assessed by the coaches and qualifies for a select team based on their skill level. Athletes in this program show a lot of potential, passion, and drive for gymnastics and spend 2 days a week at the gym each week to receive special attention in order to get them prepared for our competitive program. Our Pre-Team athletes are tested once every three months to gauge their progress, four testing dates a year. After each Pre-Team testing, these athletes can qualify to move up to the next level. After passing the Dynamite Level, they then move up to our competitive team. This is a great group of athletes and we love watching them continue to grow!